The United Nations has recognized 25 November as the International Day to Eliminate Violence against Women and has started a 16-day campaign “UNiTE to End Violence against Women.” In support of this campaign, Quota International will bring attention to this issue focusing on the work Quotarians are doing in their communities. Quotarians in Manila work to close educational and economic gaps that result from gender-based violence, through their Hand-In-Hand project: Empowering Women and Children through Education. 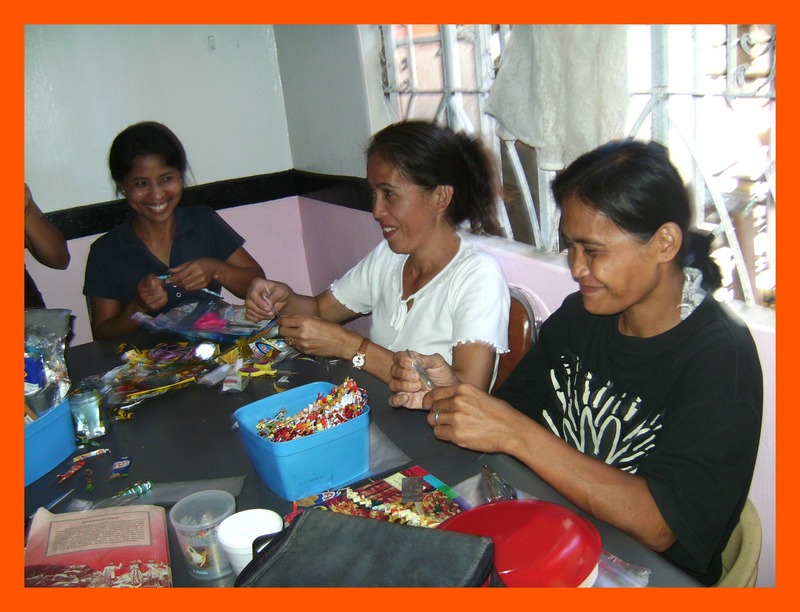 Through this project, Quotarians in Manila provide livelihood and skills training to women and children in economically depressed areas of the city. Women living in densely populated and impoverished areas—like many areas of the city, Manila—are more at risk of gender-based violence. As a result, victims’ educational opportunities and support systems may be limited. Quota has stepped in to assist with not only literacy classes, but also physical, emotional, and spiritual healing of women and children. While many victims of violence may either drop out of the workforce or lose paid work days, Quota empowers its women in Manila to be emotionally strong and financially independent in order to provide for their families. From 2007-2012, Manila witnessed an increase in gender-based violence of 150 percent. One survey estimated that 20 percent of Filipino women between the ages of 15 and 49 are victims of violence (Source: IRIN). Violence prevents these girls from pursuing an education and therefore fuels poverty. Many think of violence against women in terms of harm against only the victim. However, violence against women triggers economic and social costs that extend to society as a whole by inhibiting access to education and reducing economic growth. Quotarians also work in the United States, Canada, Australia, and Fiji, which have been reported to have suffered particularly harsh economic losses as a result of gender-based violence. Through work by volunteers in local communities Quota provides resources for women in these countries to overcome violence and hardship, and maybe more importantly, the emotional support many of these women need to feel empowered again.